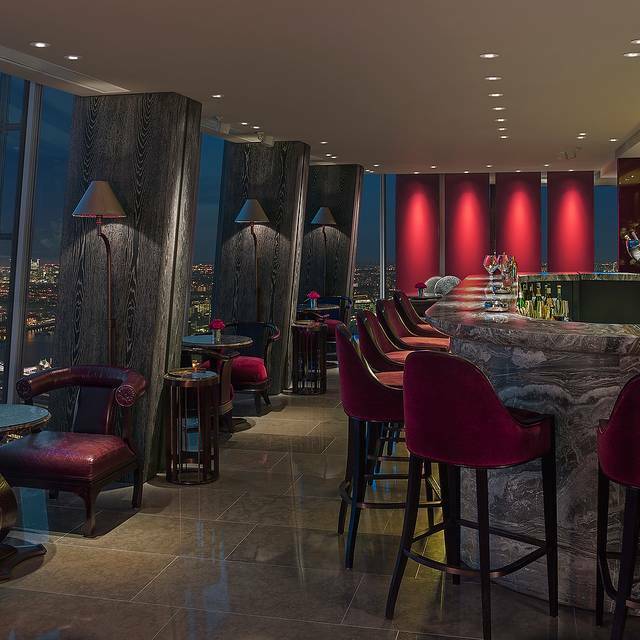 With a dramatic backdrop of unparalleled views, GONG is the destination bar at Shangri-La Hotel, At The Shard, London. 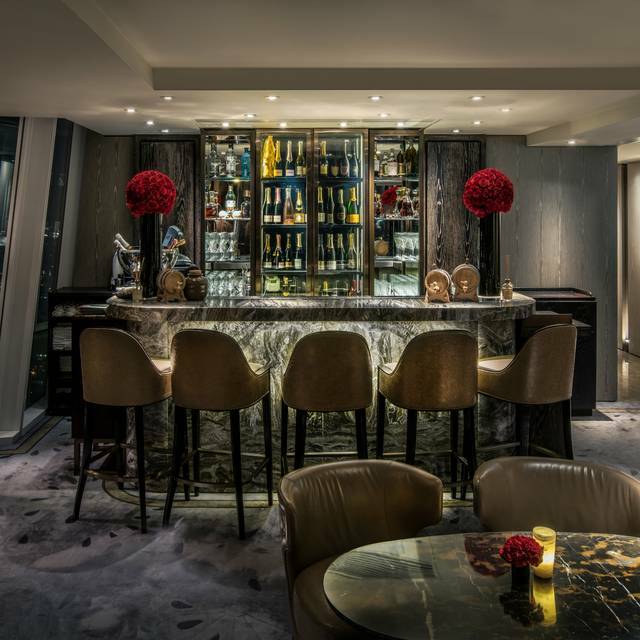 The highest hotel bar in London is perfect for sunset cocktails and late-night drinks, the bar offers three lofted areas for guests to relax and soak in the cityscape; and even offers poolside seating at the highest pool in London. 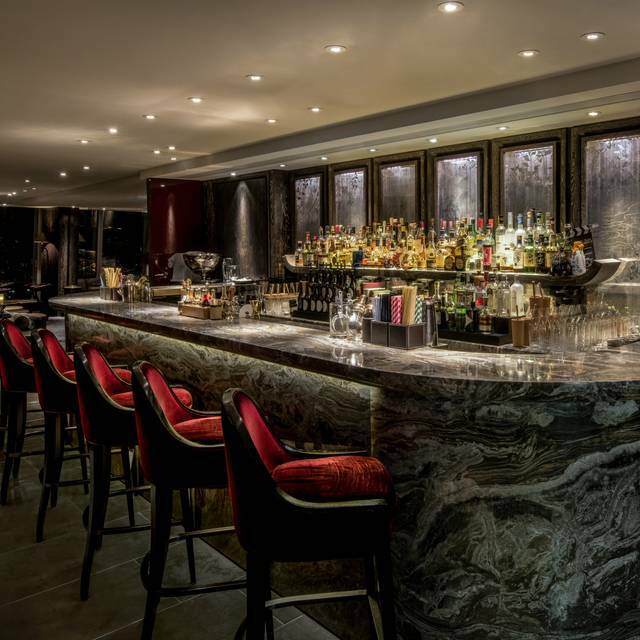 Uncomplicated and seamless, the bar’s first-class service ensures the ultimate escape from the city’s bustle. Sample one of the delicate, signature cocktails or indulge in a rare, vintage champagne with light dishes, such as locally sourced British charcuterie and caviar as a savoury accompaniment to your drink. Guests are required to be 18 years of age or older after 5pm. 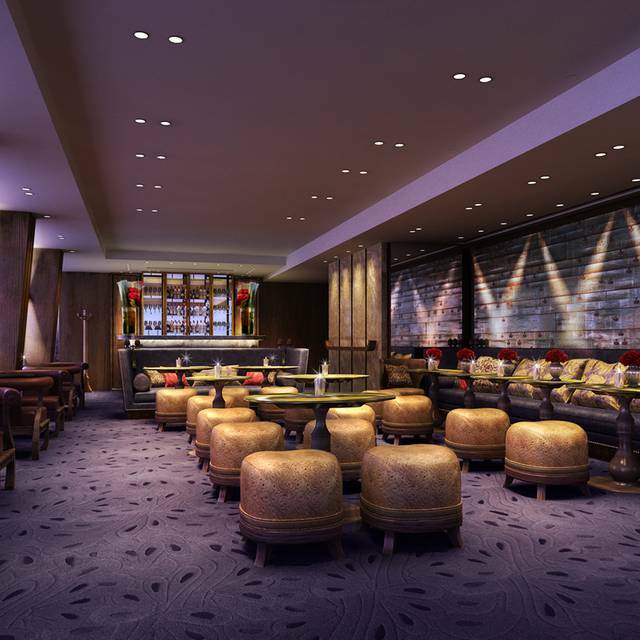 Immerse yourself in true Asian hospitality with GONG bar's new experience. 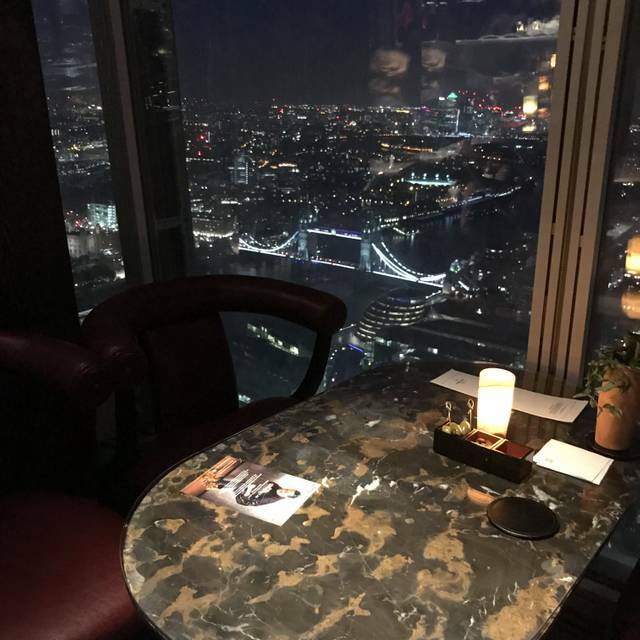 Enjoy a guarenteed window seat at the highest bar in Western Europe, with three styles of sushi, expertly matched with a unique sake for £55.00 per person. Tables are available for a 12pm, 1:30pm or 3pm seating only, for between 2 and 4 persons. 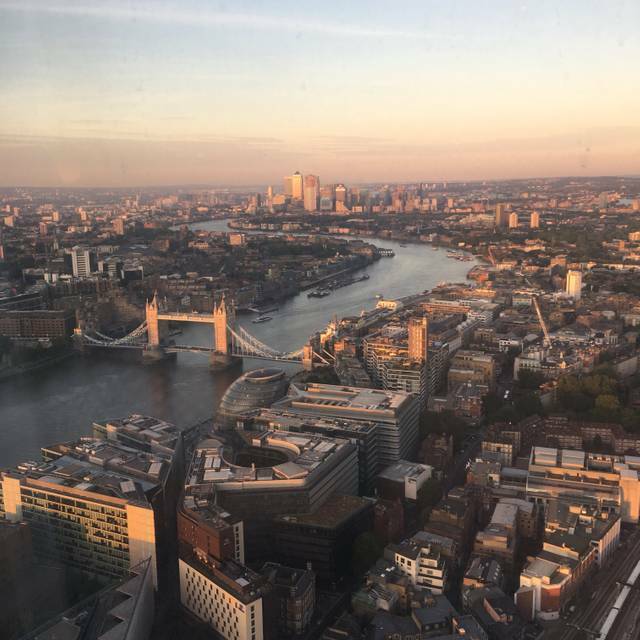 Enjoy a guaranteed window seat at the highest bar in Western Europe, with two classic or signature cocktails and a sharing plate for £55.00 per person. Tables are available for a 12pm, 1:30pm or 3pm seating only, for between 2 and 4 persons. T's & C's apply. Enjoy a guaranteed window seat at the highest bar in Western Europe, with two glasses of Veuve Cliquot and a sharing plate for £55.00 per person. Tables are available for a 12pm, 1:30pm or 3pm seating only, for between 2 and 4 persons. T's & C's apply. The views were outstanding and cocktails were lovely. Our server was very polite and helpful! Great views of the city. We went as the sun was setting. Lovely. A good range of cocktails and a bit pricey but as a treat now and again we’ll worth a visit. Staff were very friendly a helpful when choosing drinks. Well worth a visit. Amazing night at Gong of 5 star excellence. 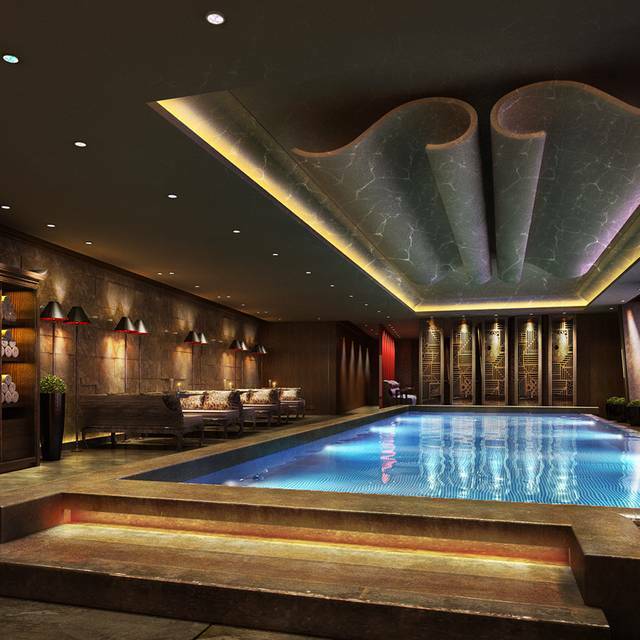 Sheer luxury of Shangri La facilities backed up by exceptional service. 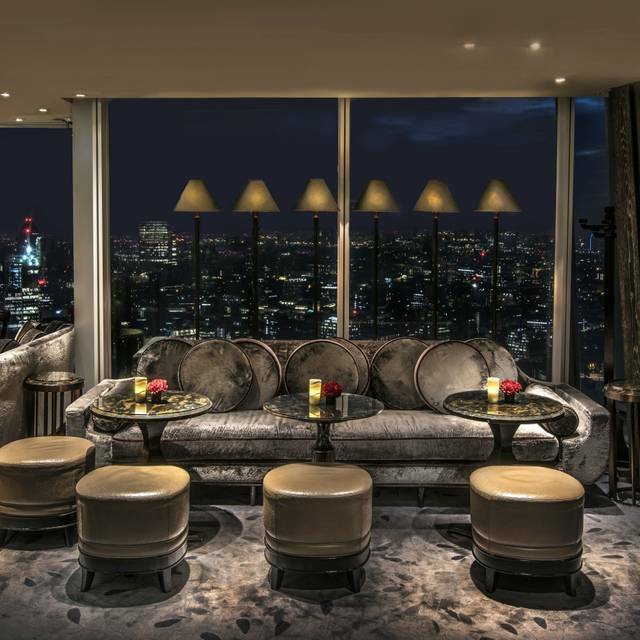 Amazing range of world class cocktails and stunning London skyline views 52 floors up. We had a fantastic night - thank you!! Exceptional setting, with a fantastic choice of drinks, bound together with excellent service. I’m sorry to say that after being informed over the dress code , people were wearing jeans , slippers and sneakers . Service wasn’t aware of the cocktails on the menu and they forgot tho bring us olives , nuts etc with the cocktails . So sorry to day that I was really disapointed . We were Celebrating our 16 year olds birthdays but there was a mix up and we hadn’t realised that the bar only allowed in under 18’s before 4pm. The manager was very helpful and understanding and found us an alternative table in the lounge area of the restaurant. The views were outstanding as were the cocktails. Fantastic views and interesting cocktails. Going up to the bar staff were very helpful with directions. We were moved to a table window as soon as one became available. The staff were very helpful. Only slight negative was that it took a while to get another drink. Not sure if they think people only go for one. We had an hour and a half so time for at least two cocktails! Nice for a special occasion. It was a very nice night, beautiful place and views. The staff is gentle and they are aware of the guests constantly. Nice music selection, but I would low it down a bit, as it makes yourself to speak louder and it creates a pub ambience at some point. We had an amazing time. Great view of the city, relaxed atmosphere and friendly staff. Drinks are very expensive as expected! We chose Gong for a special drink before dinner on my wife's birthday. We were told that the dress code was smart casual but many were in jeans and trainers. The welcome was almost hostile. The waiter was quite sharp when I moved some glasses off the table we were going to use. Drink sizes were small. We paid £141.75 for six alcoholic and one non-alcoholic drinks. Of them only two were to our taste. At one stage we were told quite pointedly that we only had half an hour left to finish our drinks. No nuts, olives or other nibbles were offered. My wife's birthday was not even mentioned, despite having told them in advance of the day. There are many other more enjoyable venues in London, offering better ambience, service and value for money. Do not waste your time or cash here. 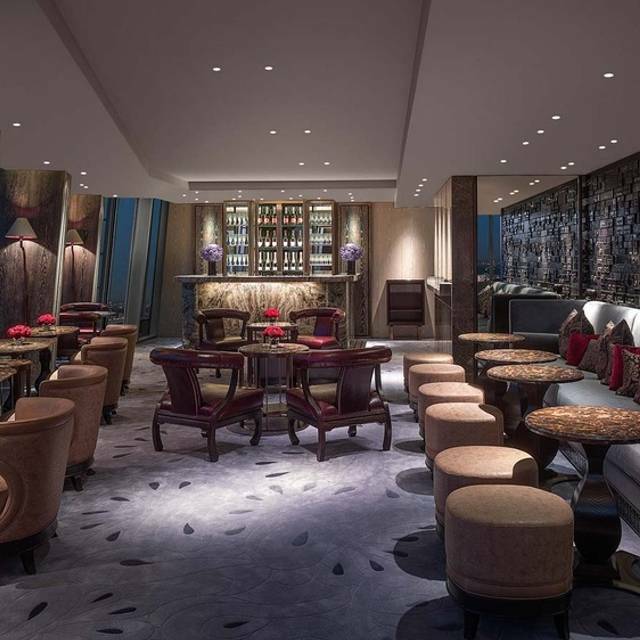 I booked a reservation at Gong for our trip to London as a birthday treat for Mum & I. The Shard is a phenomenal building, the views from the Gong Bar are incredible. Table reservation lasts for 1 hour and you can either enjoy the view with a drink or with food - no pressure. 100% recommend. Terrible service. The response "are you sure" isn't what I need to hear when a waiter who seems about 19 years old responds to our polite request to send a corked, £26 glass of wine back. Don't bat an eyelid and take it away. We have to ask three times for the bottle of water that we requested. Ridiculously inexperienced staff with no idea of what 5* service means. The view is great. The service was terrible. Excellent bar with fantastic service and beautiful evening ambiance in addition to the spectacular view. Lovely couple of hours spent here and a well organised and well run establishment. As expected the drinks are ridiculously overpriced. Although I expected a large bill I didn’t expect £95 for 2 gins and 2 cocktails! We won’t be back but it was nice for a one off. Great experience for a very expensive cocktail with unimaginative nibbles. Nevertheless it was a wonderful experience with the views and would love to return to sample the food. Cheers. All the drinks are too expensive and you keep putting the prices up. It used to be £16 for a cocktail but now its £21 which is too much and poor value for money. You also dont do hot drinks, friend wanted a tea but told no tea. Poor service, cocktails are average. Expected better. Lovely lush garden cafe 35 floors up, stunning view and normal prices for coffee, sodas and buns/cakes. Lots of seatings and extra fun to be able to walk around the full floor, take the stairs to floor 37 and continue to walk and watch London from above. Just a super spot to take your kids, parents, friends etc. We went for cocktails. Snacks were free and plentiful. Staff were very attentive and always had time for you. If you can’t get a window seat ask to go on the list! I should admit it is expensive but the service, drinks, food, view and atmosphere was more than lovely. i fully recommend it. Champagne overlooking the wonder that is London - a fantastic experience. The staff were attentive, the atmosphere was lovely and the view was fantastic. Brilliant service, Views and overall place! I had popped down to London on a Work Trip with some colleagues and we thought we would book a table! The place is amazing and beyond expectations which is what both my colleagues said also. The drinks had a reasonable price tag considering you are in London after all and have some amazing views. I would have liked to have been near the Window for a while longer but this isn't the end of the world! Brilliant view and staff were very attentive. Great atmosphere and a lovely experience. The hospitality and service was amazing, our waiter csaba was funny and friendly and made the night all the more enjoyable. The views were outstanding and we were also lucky enough to see a marriage proposal on the table next to us which was beautiful. All in all a spectacular evening. Great experience, the staff was extremely polite and professional, had a lovely time and enjoyed the anazing view of london. Would recommend to anyone visiting London. You pay for the view here, but who wouldn’t when you can say you’ve visited the tallest bar in Western Europe? Definitely one to tick off the bucket list! We went here for my partner’s birthday and rung up to make a note of this. The staff were hospitable and not pushy in regards to ordering drinks and gave us some vegan sweet treats to celebrate- they were lovely and a very kind touch. Came for cocktails. Fantastic staff. Nothing was too much. Highly recommend! The bar was only a quarter full but based on our experience we can maybe see why people would not want to visit. The cocktail literally tasted like ice water and it was charged for £19 what a shame. Such a waste for the brilliant view given such drink experience.